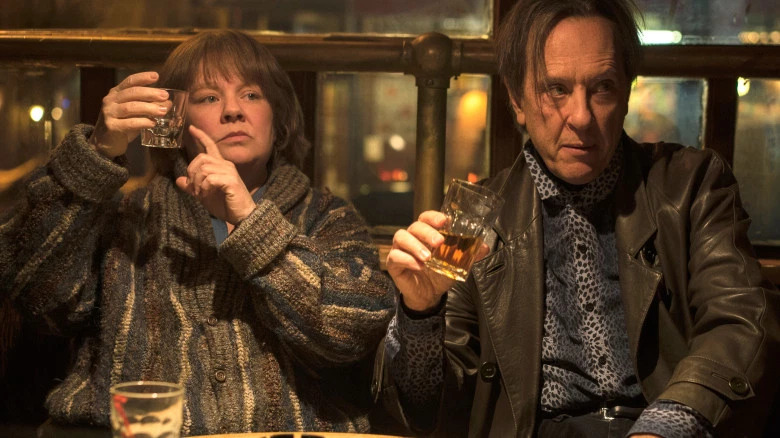 boom reviews ¦ Can You Ever Forgive Me? Before 2011, Melissa McCarthy was carving out a credible career as a comic actor on US TV in shows such as Gilmore Girls, the short-lived Samantha Who?, and Mike & Molly. In 2011, director Paul Feig cast her in his film Bridesmaids, and everything changed. Despite not even being a starring role, McCarthy’s Megan made like a thief and stole every scene she was in, making her a star overnight. She picked up an Oscar nomination too (for best Supporting Actress), for her troubles. 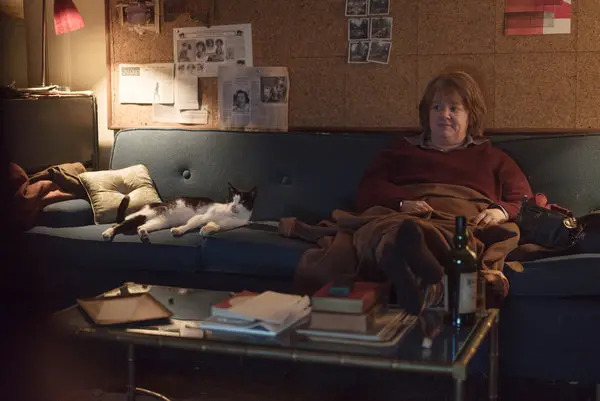 Ever since, McCarthy has struggled to reach similar comic heights, not through want of trying however - and she has been very trying - in a number of features since, including The Heat, Tammy, Spy and The Boss. Although all have been woefully disappointing, they didn’t stop her being the second best paid actress in 2016 (Jennifer Lawrence took home all the cash that year). Here though, for her latest role, she takes on more of a challenge by playing a character from real life in Lee Israel. If she mis-quotes Withnail and I one more time, I shall scream. It’s 1991 and Lee Israel (McCarthy) is proving to be the epitome of the struggling writer. Although she has been published, most recently a biography on Estée Lauder, her work hasn’t exactly been well received and she's find it hard to make the proverbial meeting of ends. Whilst doing research for her latest project – a biography of the 1930’s entertainer Fanny Brice – she discovers a letter from Brice, and decides to sell it. Unfortunately, she gets very little for it, as the content lacks personality. This gives Lee an idea: to forge letters from famous writers and stars, with the intent of selling them to dealers for large sums of cash. Well, I didn't see that coming. Did you Melissa? This is the type of role that you can only imagine McCarthy jumping at with all her might. Mainly because it actually demands a fair amount of actual acting. That’s not to belittle the roles she has played thus far, but she has clearly found herself in a creative rut playing to type, that she’s struggling to shake off. For this role at least, she should considered it shaken. Here she proves that she’s more than just a comic talent, managing as she does to imbue some genuine pathos into her character. McCarthy’s Israel is spiky, difficult and not really a people person, and yet it’s difficult not to warm to her. She still manages to be funny, but not at the expense of Israel. She is ably supported by the ever watchable Grant, whose performance may well have a whiff of Withnail about it, but there’s nothing wrong with that. It does feel as if director Marielle Heller, making only her second feature, missed a trick or two with her two leading stars. Watching them, you get the impression that they are holding back somewhat, and although clearly chomping at the bit to let loose, they’ve been muzzled creatively so as to not push the boundaries. Sure, you have a duty to be respectful to not only the source material, but the real life characters portrayed, but that shouldn’t be at the expense of possibly more rounded performances. They were clearly larger than life characters in real life, and therefore it feels like there was definitely room to expand not only both personalities, but their relationship too. That said, it’s the best thing McCarthy has done in years, and sure, she may go back to her rut of over-the-top characters who quickly over stay their welcome on the big screen, it’s this solid performance that almost makes all of those roles forgivable. Almost.